The new M65 is defined by the latest Maritimo style, engineering, power and outstanding efficiency. surprising the competition with its four cabins accommodation plan, and quadruple engine choice. Other exquisite details for the yachtsman who cruise will be a very large 6300 liters of fuel tank. The four double cabins accommodation plan also includes a full beam stateroom with en-suite, VIP room forward, double berth to starboard, and twin bunk to port side. A large astern galley with domestic sized refrigerators and appliances, is located on the main deck. 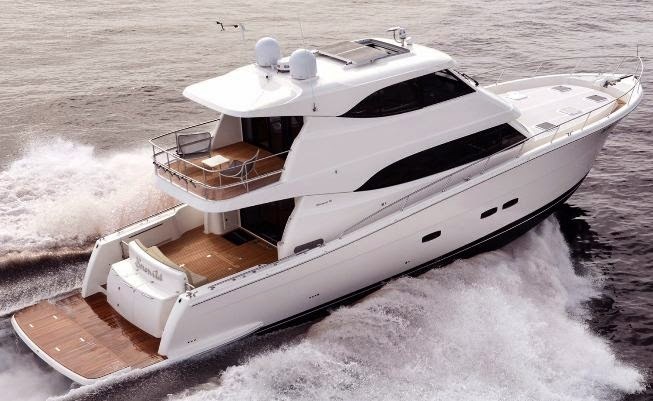 Maritimo's signature internal staircase leads to an enclosed flybridge. This enclosed bridge area can also become a lounge with options such as convertible berths, relocatable tables and a wet bar, ensuring an apartment feel with every creature comfort while at sea. The Maritimo M65 Motoryacht is powered by two options from twin 900hp through to four 725hp Volvo motors.